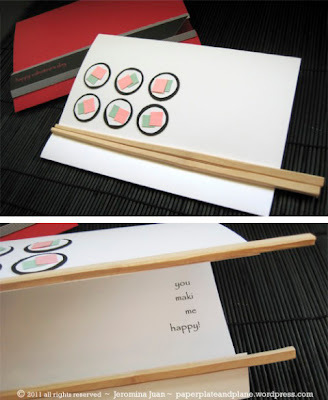 ....and, you don't have to pick apart the picture to figure out HOW to make these. Not Martha has already done the research for you with a full list of LINKS on how to make different types of candy/dessert sushi. 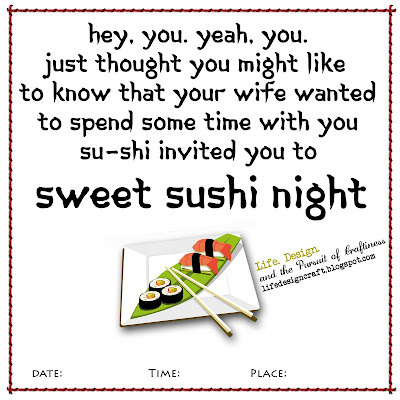 Once you've got that figured out, send an invite to Date Night. I don't know what it is with me and invites...I just really like them. Now get to work and maki your date happy! I have always seen this but never actually made it! I most definitely am now! Thank you sooo much!! 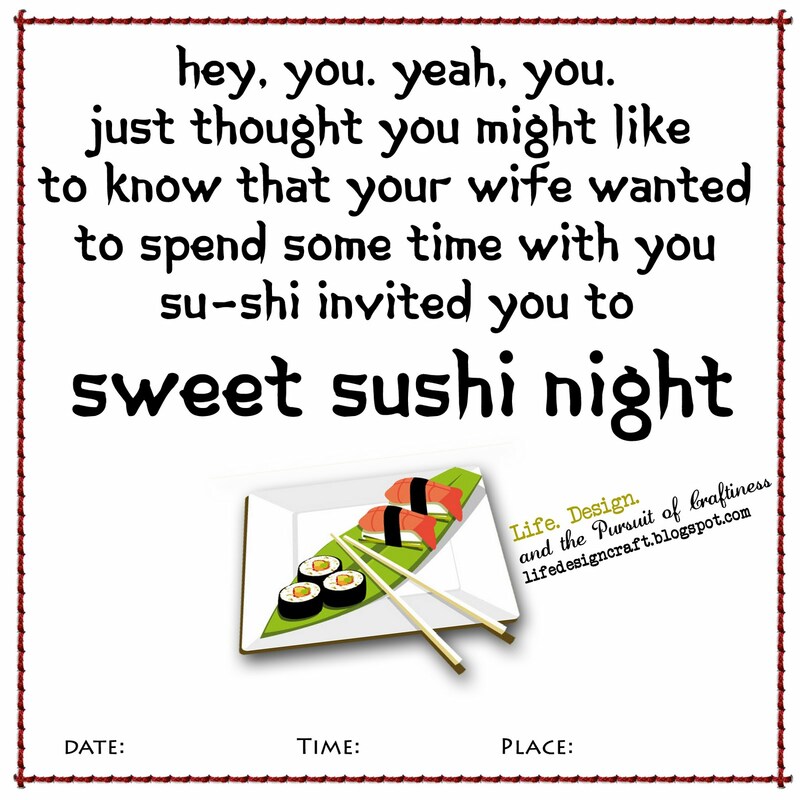 My husband is a sushi guy but I'm not this will be a fun date when he returns from deployment.